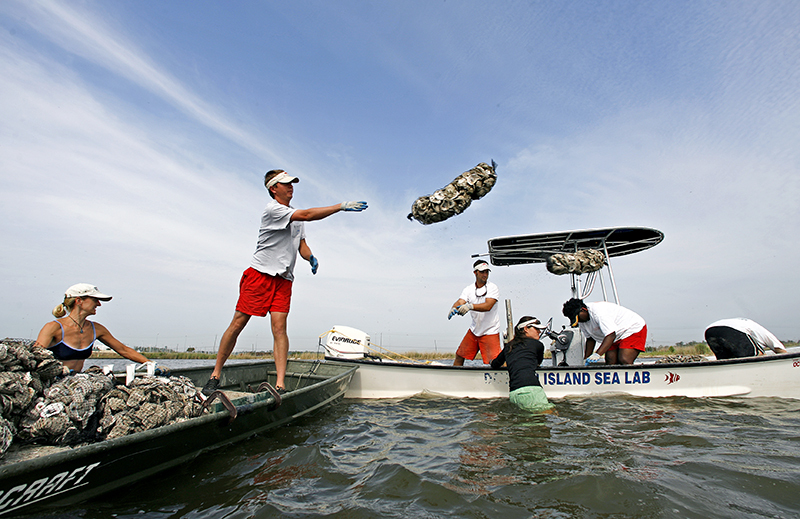 Bags of oyster shells are thrown into Mobile Bay in May 2008 during an experiment to determine techniques to battle the degradation of the area's natural shoreline. The resulting piles of shells, an alternative to bulkheads, are known as "living shorelines" which become habitat for sea life while protecting private beach property from damaging ocean waves. Courtesy of The Mobile Press-Register. All rights reserved. Used with permission.